Imagine a tower builds itself into the desired structure only by choosing the appropriate bricks. 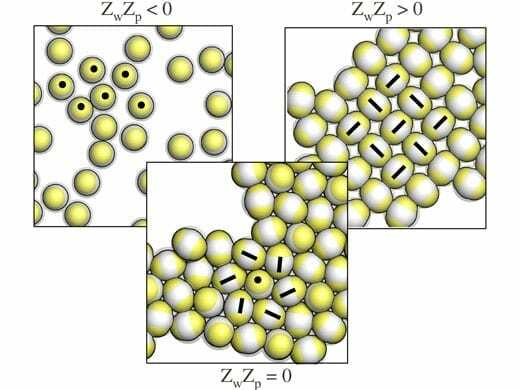 Absurd – and however, in the nano world this is reality: There an unordered crowd of components can initiate the formation of an ordered structure – a process known as self-assembly. The physicists Christos Likos (University of Vienna), Emanuela Bianchi and Gerhard Kahl (both Vienna University of Technology) investigate how they can control the ordering of such self-assembling structures and found out how to switch the assembly process on and off. March 28, 2019 - UB chemist lands $675,000 NSF CAREER award - UB Now: News and views for UB faculty and staff University at Buffalo ReporterYour browser does not currently recognize any of the video formats available. Click here to visit our frequently asked questions about HTML5 video. April 2, 2019 - Programmable 'Legos' of DNA and protein building blocks create novel 3D cages Science DailyThe central goal of nanotechnology is the manipulation of materials on an atomic or molecular scale, especially to build microscopic devices or structures. April 8, 2019 - From DNA to algorithms The AggieSelf-assembling DNA programmed by applying theoretical computer science to molecular engineering Through the incorporation of computer scienc.